Quick Post: This dinner couldn’t be easier, and it was so tasty. I modified this a little with the addition of lemon zest for the butter/cheese mixture. Mine cooked perfectly in 10 minutes plus the 2 minute broiler time. Watch your fish carefully and adjust the cook time as necessary. I had one really small piece of fish that I added to the baking sheet 5 minutes into the cooking and it came out perfectly. We enjoyed this meal with a green salad, but you could serve it with rice, pasta or steamed veggies. Thanks for reading, enjoy! Pat tilapia dry (if frozen, it should be thawed first) with a paper towel and season with salt and pepper. Lay on a baking sheet sprayed with non-stick spray and bake for 10-12 minutes. 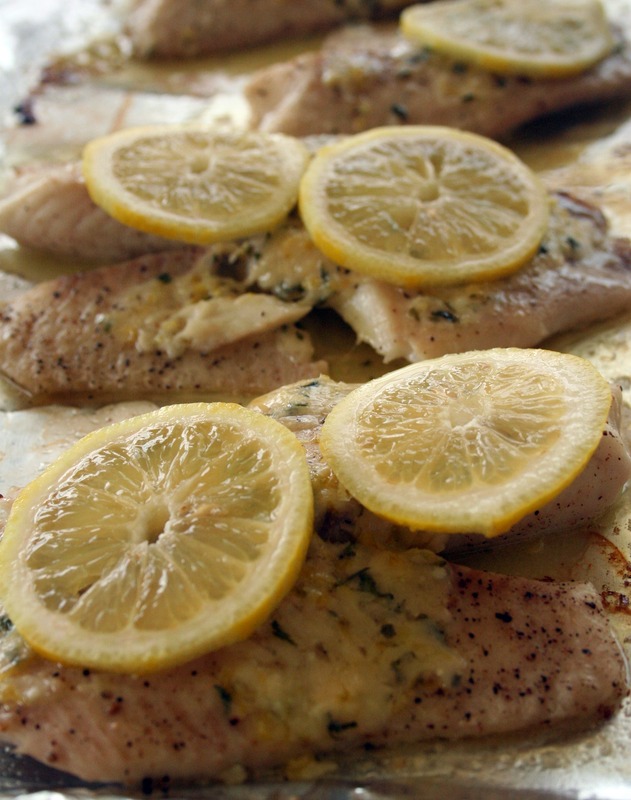 While fish is baking, mix butter with garlic, lemon zest and parmesan cheese. Remove fish from oven and gently flip. Spread about 1/2 tablespoons of butter mixture on the fish, and heat the broiler in your oven. Set fish under the broiler for about 2-3 minutes, or until cheese gets golden and bubbly.